 This examination is being given to fill one vacancy in the Field Engineering Division of the San Joaquin County Public Works Department and to establish an eligible list which may be used to fill future vacancies. Receives, reviews and prepares recommendations regarding parcel maps, records of survey, subdivision maps and related documents; interprets survey data, legal descriptions of property, property rights and information contained on existing maps; makes survey calculations to check for accuracy and consistency with existing records. Prepares and reviews legal descriptions of property; researches federal, state and county government records including records of survey, parcel maps, and deeds. Reviews and approves records of formation or annexation of special districts. Prepares a variety of reports, correspondence, board letters, maps and other documents. Meets and confers with public and private agencies and the general public regarding a variety of survey projects. May assign, direct and review the work of field crews, office staff and other survey division staff. Experience: Eighteen (18) months of land survey work including reviewing maps and legal descriptions of property. License: Registration as a Civil Engineer prior to January 1, 1982; or possession of a valid license as a Land Surveyor; or eligibility to obtain a license as a land surveyor as specified in Business and Professions Code 8741-8742 within six months of application. Applicants who are eligible to obtain a license as a land surveyor within six months of application must obtain their license within the first year of appointment. Principles and practices of land surveying, map review and preparation of legal descriptions; calculations used in map preparation and surveying; principles and practices of supervision; principles and practices of report preparation; public relations techniques. Review maps, records and related documents; analyze and interpret data; establish and maintain effective working relationships with others; communicate effectively, orally and in writing.